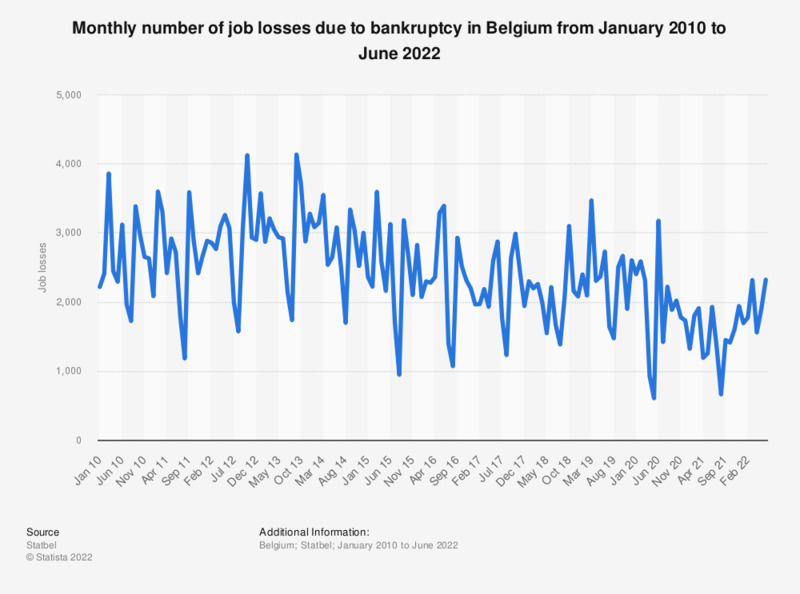 This statistic displays the monthly number of job losses due to bankruptcy in Belgium in 2015. With 3,144 job losses, the highest number of lost jobs in Belgium in 2015 was registered in March. The figures from the Federal Planning Service Employment, Labour and Social Dialogue are based on the figures for job loss and bankruptcy from the National Employment Office in Belgium.